One of our favorite couples in country music had one of the cutest interactions over the weekend and we’re only just hearing about it? 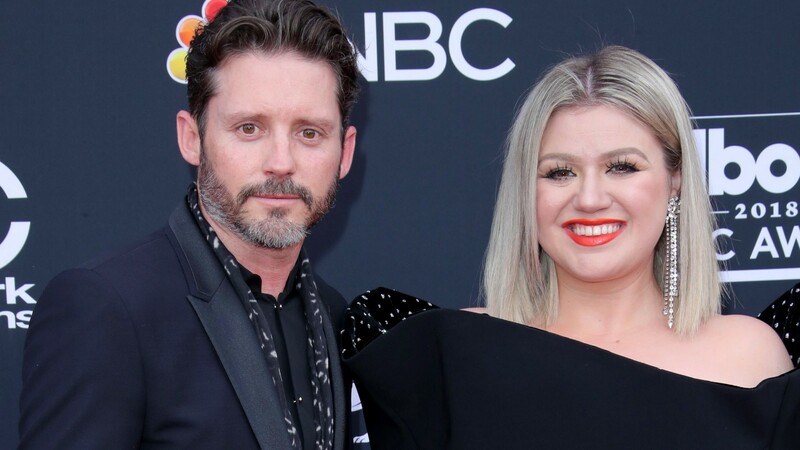 On Saturday, March 30, Kelly Clarkson was performing a concert in Greenville, South Carolina, the final stop for her Meaning of Life tour. During that concert, Clarkson was surprised onstage by husband Brandon Blackstock, who completely blindsided the singer in the best possible way with his appearance. Not only has footage surfaced of the sweet surprise, but we also know how Clarkson felt about the surprise, too, based on comments she made later in the show. In a video from the concert on Saturday, we see that Clarkson was in the middle of performing her very emotional track “Piece By Piece,” which has choked her up while she was performing it in the past. It looks like Clarkson had a similarly emotional reaction this time around, although for a different reason. The video shows that Blackstock casually strolls onto the stage, pretending to play guitar, while Clarkson is facing the audience with her eyes closed (likely in response to singing the song). Clarkson then appears to sense someone behind her, or perhaps the audience clued her in because you can see she turns around and faces Blackstock before taking a beat. As reported by People, Clarkson opened up about Blackstock’s surprise during her final “Minute & a Glass of Wine” segment, which has been a staple during this latest tour. While we can’t believe Clarkson has another tour in the books, we’re so happy that her husband of five (going on six!) years was there to not only support her but surprise her in the cutest way possible.